There comes a time when every sofa, chair, table, loveseat, ottoman and bed must go to furniture heaven. It’s nice and cozy in furniture heaven. Plenty of sunshine, fresh air and space. Call us today to transport your old faithful couch or bed to the pie in the sky, AKA, the St. Louis Public Dump. Not every piece of furniture is worthy of everlasting respite. 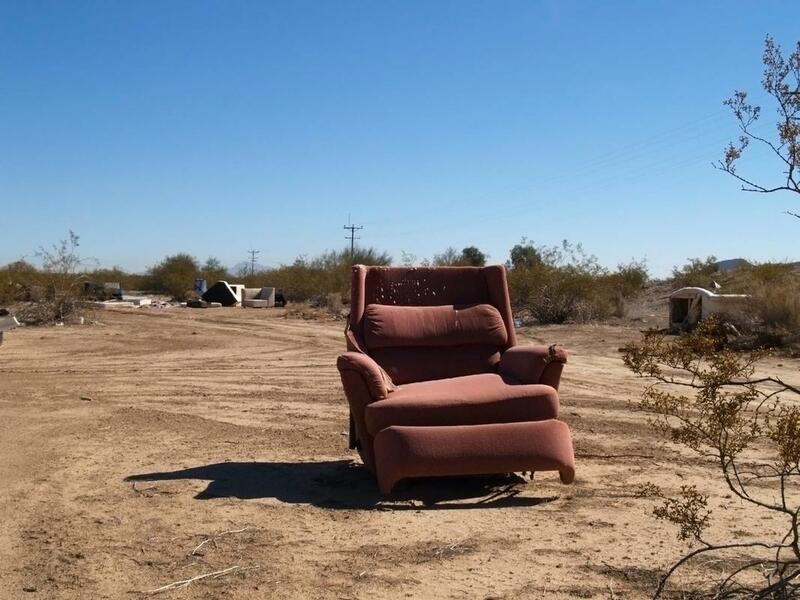 If you have gently used furniture that was given to you by your well meaning aunt and is not necessarily your taste, we will drop it off at the local Goodwill. You don’t have to concern yourself with renting a truck and asking for a helping hand. Junk Removal of STL has got you covered. If you have a few small stools or shoe rack we will take them off your hands. Coffee tables, chairs and benches are eligible for furniture removal. Even sectional sofas and California king beds are not off limits. If they made it, we can remove it. Our trucks are capable of temporarily storing and hauling the largest items ever made. We only employ professional movers with years on the job and established technique. They have the strength to lift very large pieces of furniture. If you have a custom built cabinet or bed, shoot us a photo with dimensions so that we can come prepared with the right size truck. Don’t be that person with two couches piled on top of each other. If you’re that family with outside furniture on your front porch, you can bet $100 that your neighbors are talking about you. Soon, they’ll be plotting to fine you for violating the local residential ordinance. Getting rid of unwanted furniture frees up space. You can move around freely. Imagine having a clear thought or walking into your home and sighing a breath of relief. If you have old furniture stored in your garage or basement, by calling us to remove it, that space can be newly dedicated toward a task more productive. We never met a piece of furniture that we didn’t like. If they made it, we can remove it. Everything from coffee tables to bookcases, cabinets, armoires, tête à têtes, recliners and sofas can be removed. Chaise lounges, bed frames, mattresses, chairs and loveseats too. Most of our calls for furniture removal are from adult children seeking to clear some space for their parents. Even when you parents are resistant, know that they are safer in their home without having to maneuver around so many pieces of useless furniture. If the table has 3 legs get rid of it. When the chair is leaning and the armrest is in disrepair, it’s time to let it go. Where Do Your Things Go? Many of our customers want to know, what’s in it for us. They ask if we are in the resell business. We can answer definitively that we do not store and resell your furniture. Our business is very robust and quite frankly, we don’t have the time or the storage space to get into the used furniture business. Our service is quite simple. We remove unwanted items from your home and office. Your furniture will either go one of two places. The dump or the Goodwill. We believe in giving back to the community. Donating gently used furniture to those in need is a great way to do it.